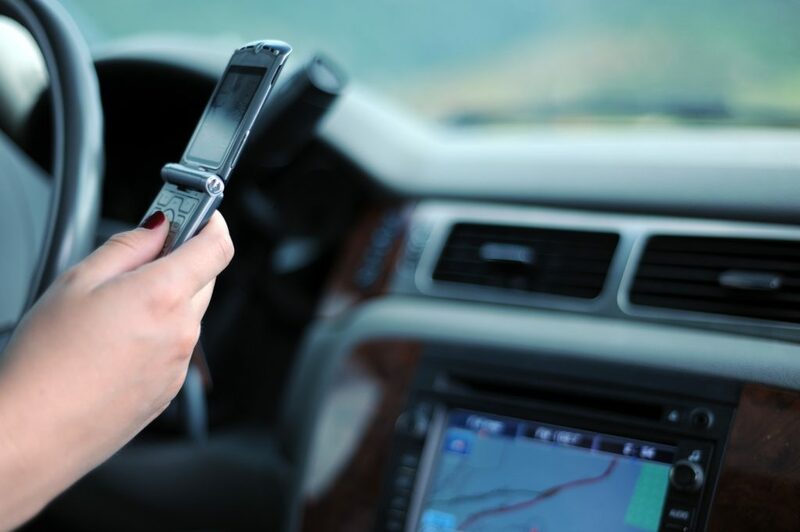 What are texting while driving laws & distracting driving laws in NH? “Distracted driving” laws in New Hampshire are relatively new. With the influx of cell phones and the amount of texting, calling, and game playing we do on them, it is easy to forget that operation of a motor vehicle and the usage of a cell phone at the same time can be dangerous. Science has shown that doing anything while driving that takes your mind off of the road can increase your chances of an accident. Still, no one is going to pull you over and give you a ticket for changing your radio station on your dashboard. Let’s go over what distracted driving laws mean. New Hampshire has a different law than many other states. You may have heard of NH’s “hands free” law, which means that you can operate a cell phone while driving, as long as you are operating it with both hands on the wheel. This means that telling Siri or Google to do something is OK. New Hampshire’s distracted driving and hands-free law has been implemented since 2014. What is covered under distracted driving laws? Texting, holding a cell phone up to your ear, and even fiddling with a GPS system while operating a motor vehicle can get you a ticket for distracted driving. State law does not bar you from talking to a passenger or reaching over your seat, but it does bar you from physically touching a handheld device. What is considered an exceptional circumstance? If you are under the age of 18, you are not allowed to use a device, hands free or not, in your car at any time during operation. That means put your cell phone somewhere safe such as a glove compartment or side pocket so you don’t feel compelled to use it or check for messages. Can an officer pull me over if they think I am texting and driving? Yes. Unlike other states, NH’s law allows an office to pull over any driver who he or she may believe is in violation of the distracted driving law and may be texting while driving. The driver does not need to be in violation of any other traffic law for this to happen. A driver can be pulled over just because they were texting and driving (or suspected of such). What if I am at a stop sign? The distracted driving law applies to all drivers in the current flow of traffic. If you are stopped at a stop sign, a traffic light, or somewhere else within the normal flow of traffic and you are using your phone, you are in violation of the law and can be pulled over and ticketed. It’s safer to park your car in a parking lot if you feel you need to use your phone or text. If you managed to cause a collision or accident while distracted, you could face a penalty of up to $1,000. You may also be liable for license suspension or more fines if you are a commercial driver with a CDL. Need help with a license revocation? Contact us today!